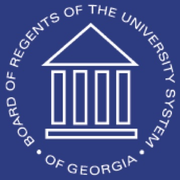 The University System of Georgia is composed of 31 higher education institutions including 4 research universities, 2 regional universities, 12 state universities, 13 state colleges and the Skidaway Institute of Oceanography. The Georgia Public Library System, encompassing 61 library systems throughout Georgia, is also part of the University System. The Business of Cybersecurity Capstone via Coursera 6 weeks long 6 weeks long 17th Jun, 2019 No reviews yet. Cybersecurity and the Internet of Things via Coursera 4 weeks long 4 weeks long 22nd Apr, 2019 No reviews yet.